DURYEA, PA – Quantum Rehab® has launched a new consumer-focused website, lifeatilevel.com. 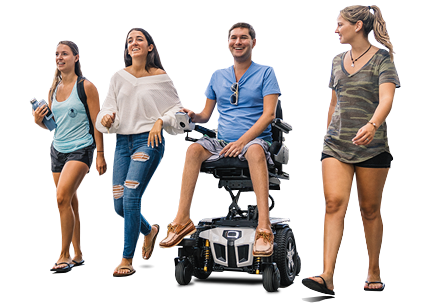 This exciting, unique online community is designed for people who use iLevel® power adjustable seat heightx and power wheelchairs, as well as those who want to learn more about them. The site features videos, blogs and photos, as well as biographies of iLevel consumer advocates. Consumers are also invited to submit their own personal stories about how iLevel has helped them and improved their lives.